Good quality offset sbulimation ink, no cracking, no damage to the surface of items, colorful, rich layers, and good fastness. It can be used on all kinds of offset machine. Applicable to single-color, two-color and multi-color offset printing machine which supply single paper once. Print materials as follows: chrome paper, coated paper, offset paper, cardboard. Good ink balance, restore points clear, fast fixation, good stability on the machine. Under normal condition, directly to use on the offset machine. 1. To speed up the drying, can add mixed desiccant, the dosage is 0-2%. 2. With specialized dilute pellicle. 3. To adjust liquidity, can add 6# printing varnish, the dosage is 0-5%. 4. To reduce the glutinosity and keep liquidity unchanged, can add reducer. 5. To reduce the glutinosity and liquidity, can add 52-94, the dosage is 0-5%. 6. Often we produce the samples before use. If little deviation, then determine the final product to be printed. 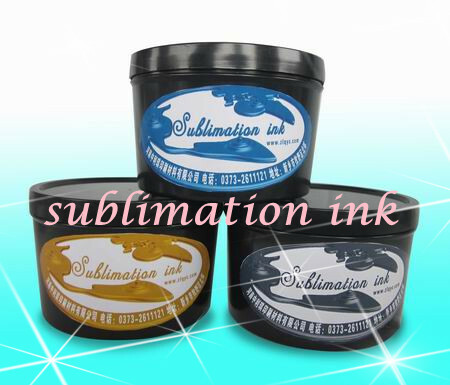 Because sublimation offset ink is used for gas shading, the printing ratio should not be printed by ordinary plate-making. 7. (1)If print red PS-plate, the proportion is 100% magenta and 35%-40% yellow. If print green PS-plate, the proportion is 80% cyan and 90% yellow. (2)If print Asian-yellow PS-plate, the proportion is 10-12% magenta and 7-8% yellow and a little cyan.